I am sure this has been discussed but... After playing many new amps Fender and others I had the opportunity to demo a pedal (Caveman by Odd Fellows) I wanted at Carter’s Guitars in Nashville. They put me in a room with a 60s Fender twin. Sweet Lord that amp was nice. I bought the pedal (love it! Strongly recommend) Brought it home to my pedal board and ran it into the clean side of my 2018 HRD. And it sound great. But... there was something about that vintage amp. So I am now looking around at vintage Fender amps. The price fluctuates per year. I am wondering how different is a 60s Fender amp compared to 70s or even 80s pre 85? Build quality, did the basic sound/tone stay the sameish? How much did CBS change the amps? Thanks ahead of time for any input! And sorry if this is an old topic. EVERY BLACKFACE FENDER AMP MANUFACTURED AFTER 4 JANUARY 1964 IS A "CBS-ERA" AMP. Leo's circuits as originally designed were the best to be found anywhere and it was only meddling by CBS dilettantes that would eventually kill the goose that laid the golden egg. Likewise, he personally selected the loudspeakers for each of his models based upon his perceived purpose for each amp. Every component was made in the USA and most were of milspec quality. The cabinetry was the most durable to be found -- strong, lightweight, and resonant. The industry standard. The nefarious circuit tampering began in 1968 coincident with the introduction of the silverface cosmetics. 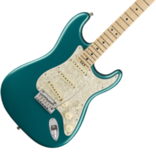 Whatever favors that William Paley's nerds (he, the president of CBS) thought they were doing for Fender's customer base went unappreciated as the revised models lacked tone and, in some cases, power. Some of the changes were eventually reversed but the damage was done and many Fender fans bought used blackface amps in lieu of the new silverface products. 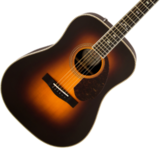 To add insult to injury, beginning with the 1971 model year Fender abandoned its traditional cabinetry (solid pine boards, finger-joined corners, removable/replaceable baffle boards) in favor of sectional lumber, lap-jointed corners, and a glued-in baffle board with a separate frame to attach the grill cloth to. These "improved" cabinets were weaker, heavier, and substantially less resonant than their predecessors and, in the event of baffle-board damage, non-repairable. The only true improvement was to CBS's bottom line -- they were cheaper to build. During this five-year odyssey, FMIC (as the Fender entity came to be known as) pissed off many of its component suppliers, most notably Jensen who ceased business with Fender in 1967 over a wholesale pricing dispute. Likewise, Oxford was coerced into tossing its QC/QA standards under the bus in 1966 in order to meet CBS's production demands as the company grew. Utah and Eminence were brought on board to alleviate any speaker shortages. Corporate shrewdness may have grown the company but customer loyalty became a collateral casualty as many buyers flocked to a host of worthy competitors such as Sunn, Marshall, and Vox. In regards to your fundamental question, the blackface Fender or a silverface built before May of 1968 will yield the purest "Leo" tone. Certain silverfaces made after that can be backdated to the original circuit by a skilled technician who knows the architecture. Vintage-spec cabinetry is available from a variety of sources and suitable speakers (vintage or modern interpretations) can still be found, among them Weber, Reverend, and Eminence. Thus, even a late silverface (in most cases) can be transformed into a real Fender tone machine, contingent upon one's patience and depth of pockets. arjay is 100% right. I have a 70's twin reverb that was found in rough shape. a local amp guy got it, and rebuilt it to blackface specs. he built a blonde cabinet, so it is a little different, but what a beautiful amp! i have played the reissues, and they make me love my amp a little better. 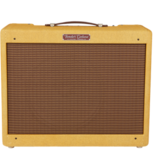 btw, I see fender now sells a handwired version on the deluxe reverb. interesting! if I was looking for a new amp today, I would look at vintage sound amps by rick hayes. looks like they are well built. Thanks arjay for the back story. That is what I have been looking for. Clearly cbs did make changes and reinvent a wheel that was already perfect just to make profit. I will start looking for pre cbs or give a few custom builders a try. I will start looking for pre cbs or give a few custom builders a try. You seem to have forgotten the second sentence of my comments. Re-read it carefully and think about its importance. FWIW, when Fender brought Rivera on board, the "II" amps, Champ, Princeton, Concert and Twin, these amps were taken back to Finger jointed pine cabinetry, eminence speakers, and cold rolled steel chassis' and the last of the point to point amps. These amps are good sounding and reliable with the Twin and Concert carrying a buffered effects loop that can be used for effects or with a short cord act as an additional gain stage. What time is it? It's Fender Time. The II amps also have a mid control and pull switches for gain, bright and boost. The Fender 12F speaker, a bespoke Electro-Voice EVM12, was available as an option. For those who really care about cabinetry, one hundred amps of each model were made with oak cabinets. It's been ignored by many that the "CBS" changes were planned during LEO FENDER's own management, they just got enacted under CBS. From a Material's Manager view (That's me) What led to CBS moving away from Leo's way.... was demand. That demand caused 90% of the changes. NOT William Paley whims. Contrary to belief, CBS did not purchase Fender to run it into the ground. 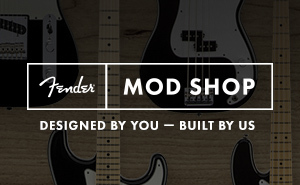 It’s known that many of Fender’s suppliers couldn't keep up. I read a stat somewhere on the internet that stated "for every 1 of LEO's amps that were sold ... CBS sold 10" think back to that era. Rock N roll was in full effect. (the Beetles, Rolling Stones, Cream, The Doors, Led Zep... the list goes on and on. that was guitar-based pop music! And that was the era of CBS Fender. Up until the mid-seventies (around 1975), the company was profitable. After 76.... and only then.... things took a turn for the worse. When the Marshall Super Lead was king..... Fender's Ultra Linear design was a huge miscalculation. Changes to Cabinet construction and Baffles... again all due to the demand and IMO not by nefarious bad business practices. Let’s not forget there were a few amps that changed very little between pre-CBS and CBS. 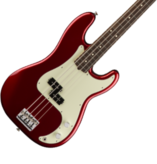 And all the negative talk about the matched bias design that Fender instituted later in the 1970s. The design set a duo or quad of 6L6GCs to operate the heater voltage at 6.3 and plate dissipation between 28 and 30 watts.. ( THAT'S THE OPTIMUM SETTING FOR 6L6GCs) So how was that bad other than one couldn't bias the amp hotter than normal? B)	The less than optimum speakers, that came stock in Silverfaces. Master Volumes on Silverfaces IMO they are a huge plus and NOT a negative, especially on today's stages. Most Silverfaces that have them are the bigger amps. If you gig one as I do, you just can't get that semi gravely clean out of Twin Reverb without the MV. About the only negative is the pull/boost on the MV. In order to get the boost to sound decent you have to alter the EQ settings, so live its not practical (Comes standard on some early/mid 70s Silverfaces) And if you are the type that get's hung up on a MV on a Fender, as some are.... One can always dime the MV and take it out of the tone stack. IMO having had both...I truly believe 99% of us in a blind test wouldn't be able to tell the difference between a Silverface (that's been BF'ed) vs an actual Blackface if both amps had the same speakers and tubes. MBA (My Best Advice) "If....." and I mean "If" you are just playing and not looking at the equation from a nostalgia factor, yea buy a BF if it falls into your lap, but don't chase one. Because of nostalgia and the fact, there are 10 SF's out there to one Bf you're going to overpay and huge. Now if the nostalgia factor is there, that's hard to put a price tag on. Cabinet construction material does make an apparent difference. Not only between plywood and Eastern White Pine but between Birch and Tamarack. Over the years manufactured transformer winding's changed as well.